I have been a mom now for almost 8 years and each of my babies (four of them) have been so different. I am also a breastfeeding mom whose babies like to wean themselves...except for my almost 2 year old. She doesn't seem to want to stop anytime soon. :) I remember back when my second child decided to wean himself...he refused to drink cow's milk but still needed milk of some kind. At the time, I searched for solutions and different options for him but didn't want to go with soy or almond milk and those seemed the most readily available. A family in my church was selling goat's milk and after I talked with them for a bit about their milk, they gave me some to try. I loved it because I could freeze it without it spoiling and better yet, my son enjoyed it too. Now, he still was fussy about what he drank but at least I could get him to drink something that was milk. I was happy. I've never had a baby refuse cow's milk since him but I now know that goat's milk is a great option. For Naturopathic Doctor Kate Morrison, not being able to breastfeed her son James was a shock, and his subsequent sensitivity to the organic cow milk formula she painstakingly sourced made their family’s situation even more challenging. Kate knew goat milk would be a good solution for James’ symptoms but goat milk formula didn't exist. She made her own, James got better, and her mission to bring a goat milk formula to North American children like hers was born. In 2009 Kate was introduced to Carolyn Ansley a business executive with a background in infant nutrition, whose daughter Bryn was born prematurely just a few months before Kate's son James. Though Carolyn had more than enough milk to nurse her daughter, Bryn hadn't yet developed the reflexes necessary to feed. Carolyn pumped and supplemented with formula for Bryn's tube feed and felt grateful for the knowledge and confidence she felt about this temporary feeding solution, as a direct result of her prior work experience. Shortly after their first meeting the idea of developing a much-needed and unique product, supported by unparalleled nutrition education was born. 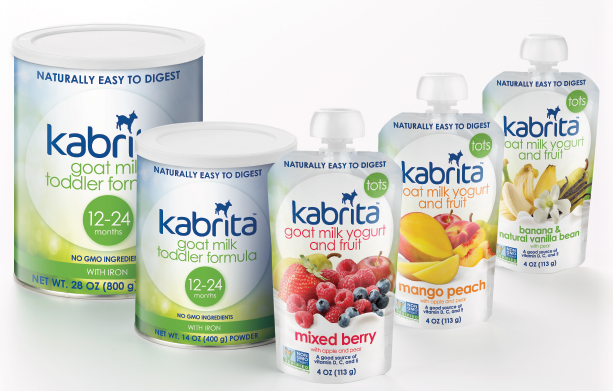 In 2013 Kate and Carolyn joined forces with Hyproca Nutrition, a Dutch Dairy with over 70 years of infant nutrition expertise to make KABRITA USA a reality. KABRITA Gentle Goat Milk Foods is now available in thousands of retail outlets and online throughout the United States. Carolyn Ansley is CEO of KABRITA USA, and Kate Morrison is Senior Project Manager for Hyproca Nutrition globally. Both are dedicated to bringing unique product innovation, and nutrition education to families around the world. You know, I love companies that are created by moms out of a need to care for their own babies. Those are the companies that you know you can trust. 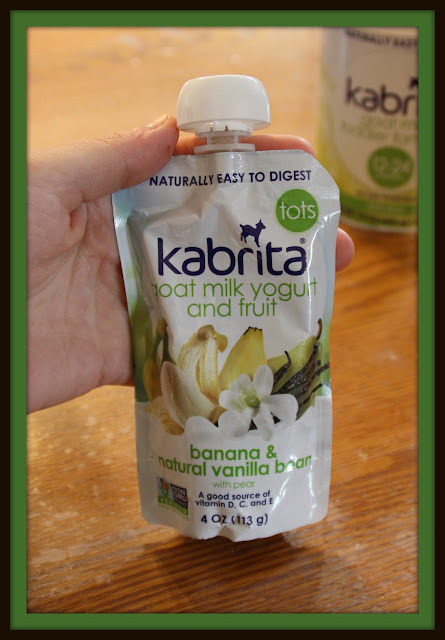 So, for this review I was sent a container of Kabrita Goat Milk Formula and three pouches of Goat Milk Fruit and Yogurt Pouches! We are HUGE fans of pouch snacks here so I was super excited to try out these products. Because the Fruit and Yogurt Pouches are our favorite, those were the first things that we tried. The flavors I received were: Banana & Natural Vanilla Bean, Mango Peach and Mixed Berry. YUM. These pouches are naturally easy for little tummies to digest and contain no artificial colors, flavors or preservatives. 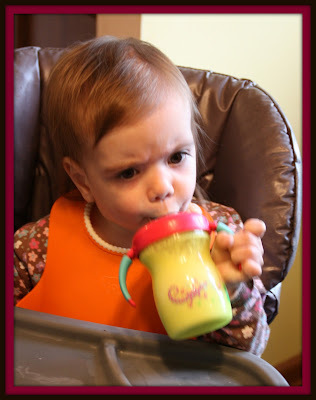 The flavors are yummy and sweet too, which makes them even easier to feed to my baby. So, the next question is "DID SHE LIKE IT???" The answer is clear...yes, she loved the pouches. She didn't seem to care for the Mixed Berry but she devoured the other two. My daughter is on the skinny, scrawny side so anything I can give her that will add extra nutrients and calories is a huge deal. I love these pouches...they're amazing! 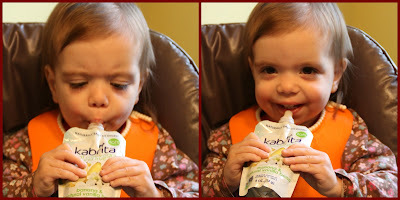 The Kabrita Goat Milk Formula was definitely new territory for both my daughter and I. Like I said before I breastfeed and have never used formula for any of my babies so this was new. 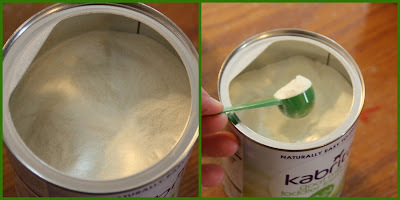 :) I have seen other baby formula before and this looks like those do, and I loved the tiny little scoop. This formula is nutritionally enhanced goat milk formula and might be a good alternative for children with a cow's milk sensitivity (however, it is not for a confirmed cow's milk protein allergy). The goats from which this formula is sourced are all free of antibiotics, growth hormones, and are raised, grass fed and allowed to happily grazed on farms in the Netherlands. I love that! My daughter is used to drinking 2% cow's milk so I wasn't sure how she would like this but we tried it anyway. She actually didn't like it but I kind of assumed that was how it would be. If I was looking for an alternative milk source for her though, this would be a fantastic option that I am sure she would grow to love over time. 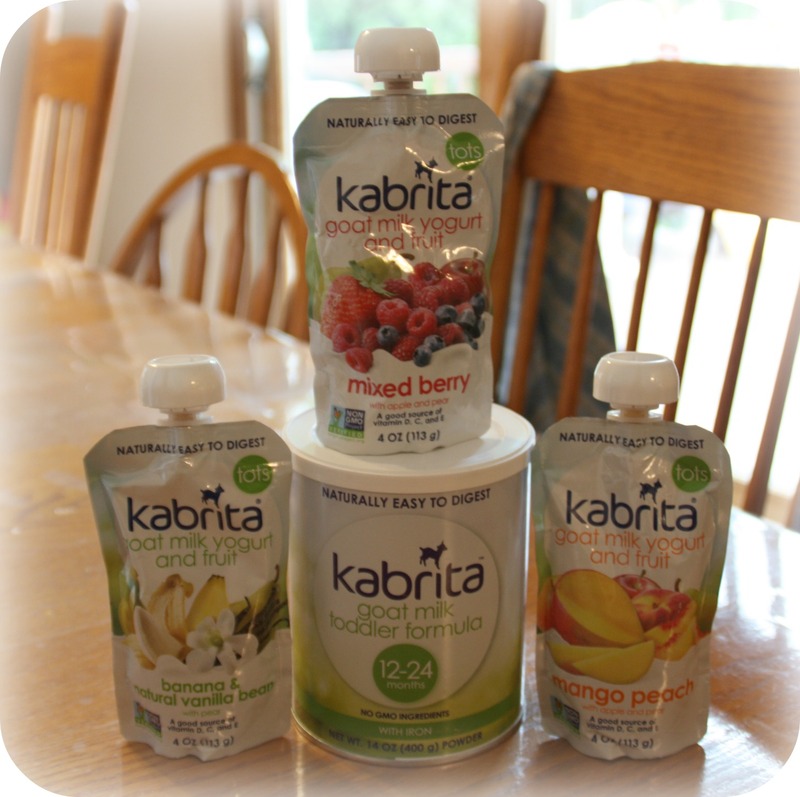 So, my overall opinion of Kabrita Goat Milk products is very positive. I love that the option is there for my to nourish my babies the healthy way and that these options are tasty and readily available. 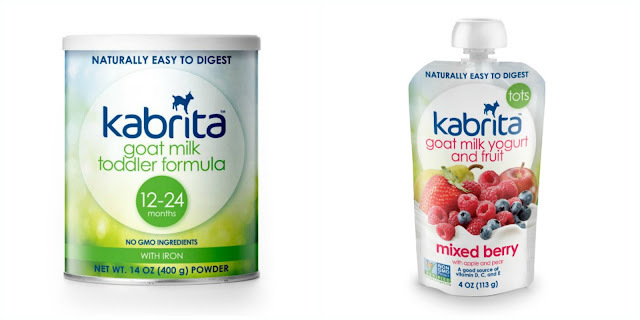 KABRITA Goat Milk Toddler Formula retails for $21.99 for 14 oz. and $41.99 for 28 oz. KABRITA Goat Milk Yogurt and Fruit retails for $2.19 for 4 oz. and a 6-pack retails for $11.99. Prices can vary by retail location so if you would like to find a location near you, click HERE. Oh, and you can also request a free sample by visiting www.kabritausa.com/trial-offer . I agree to use this product and post my opinion on my blog. My opinions do not necessarily reflect the opinions of May Media Group LLC or the manufacturer of this product. Prize is being provided and shipped by the sponsor. This blog is not responsible for lost, undelivered or damaged prizes. All opinions are 100% my own. These products look tasty and wonderful to try. I know my young niece or my own children would enjoy trying them. I love yogurt and would love to try this! 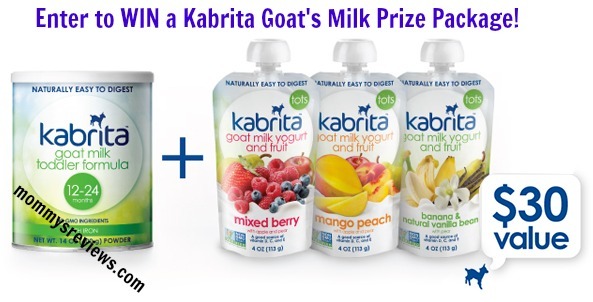 i would love to win this because i can' twiat to try the goat milk products. I like to win and have my granddaughter check them out.